I’ve just started the second Borrowers book a few days ago, checked out on OverDrive. I’m hoping to finish this one and sometime this week watch both Arrietty and The Borrowers movies and do a review and compare. 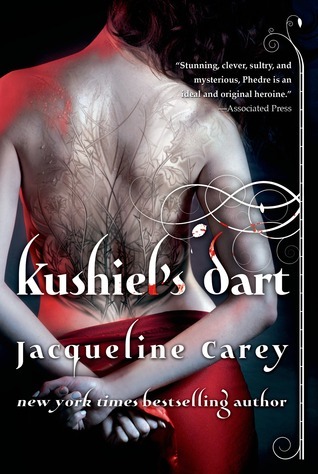 My husband also drew for me, out of my TBR jar, Kushiel’s Dart. This is a reread, the last time I read this was not long after it came out originally. I got behind and when the reprinted the first trilogy with the lovely new covers I picked it up to read again and maybe complete! We finished Old Man’s War this weekend and I loved it. I was marking my favorite bits in my print copy as we read and it’s got almost as many post it notes in it as The Martian, maybe more! I also finished Fried Green Tomatoes at the Whistle Stop Cafe, which was an incredibly good read. I grew up watching the movie so it was very nostalgic. I also finished the first Borrowers book which was adorable and I love the little illustrations. 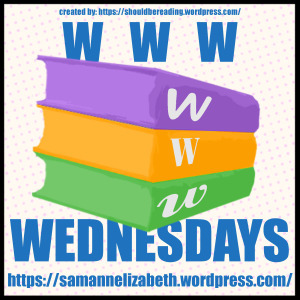 I wanted to get to Dragon Heart, Symbiont, and Darkfever in my last post but never did. I unfortunately do that often, reading too organically to really predict. 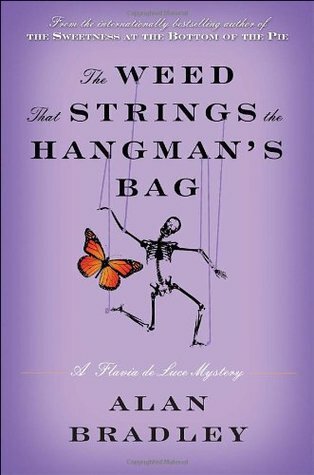 I still want to get to those too but I got The Weed that Strings the Hangman’s Bag and want to get back to Flavia and I also got Lola and the Boy Next Door on OverDrive. So we’ll see what happens!